Mrs. Harland Home. 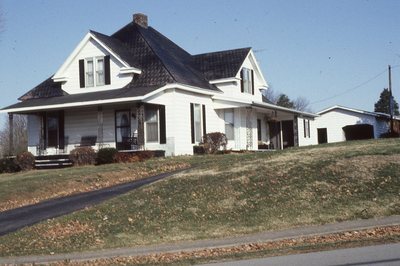 This house is located 500' NE of Route 87 on Route 2170 in Fountain Run, KY. It was built in the 1880's and is a 1 1/2-story frame house that has a 3 bay front.